The kitchen sink is one of the most-used features in the home. From the preparation and cleanup of a meal to daily chores, the kitchen sink sees a lot of traffic. That’s why when it comes to buying a new one, you should give careful consideration to the material you choose for your new sink, as well as your sink style and installation preferences. When you are replacing a sink, take a minute to think about how you use it. Do you cook elaborate meals most days for a big family, requiring major pot and pan clean up, or are you an occasional chef, or re-heater of leftovers? 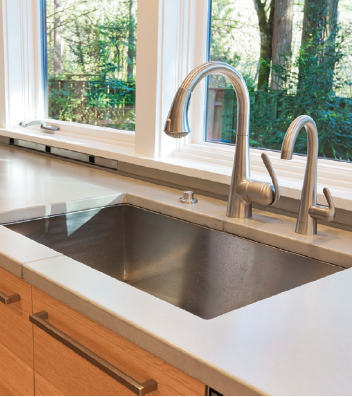 Depending on how and how often you use your kitchen sink, you’ll want to pick a material that will suit your lifestyle and will last for years to come. The most popular materials that are currently on the market include stainless steel, porcelain, granite composite and concrete. Stainless steel kitchen appliances are quite popular these days. With its sleek look, easy cleanup, and durability, stainless steel is a great choice for a kitchen sink and will blend well in both traditional and modern kitchens. The downside is that the metal can scratch easily. More often than not, however, those marks and scratches can be buffed out. Still, this is something to keep in mind when choosing your sink. A porcelain sink is the perfect addition to your kitchen if you are looking for a clean and classic style. Often used in kitchens with a vintage feel, porcelain is a wonderful option for those looking for something simple yet elegant. While porcelain sinks traditionally come in white, the color choices are endless. Just know that porcelain can be chipped if treated roughly. Also, some metal pans can leave black marks and scuffs that can be hard to remove. If you’re looking for a really tough material that will last for years to come, a granite composite sink may be the right choice for you. Made from a combination of approximately 80 percent granite and 20 percent acrylic resin, granite composite is a highly durable material that is resistant to scratches, stains and chips. This material can also withstand high temperatures, making it safe to put hot pots and pans in your sink. 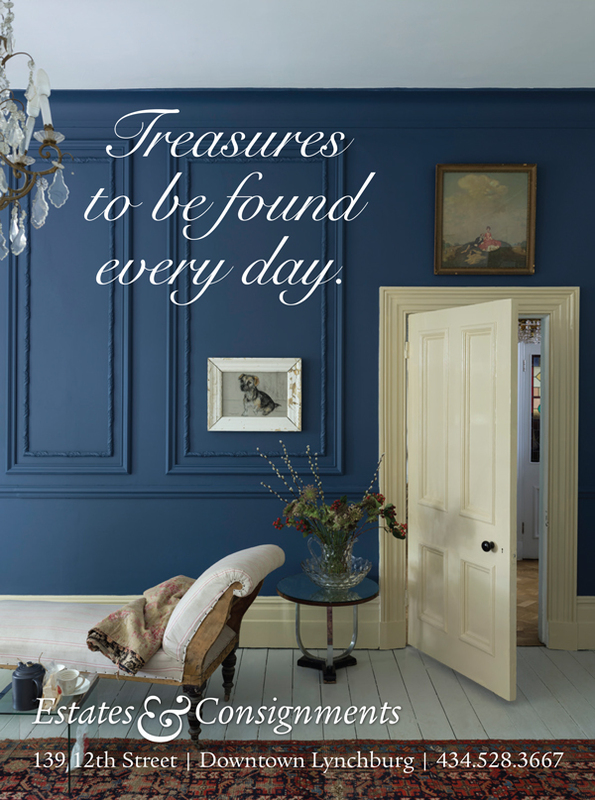 Colors range from black and white, to shades of grays and warm browns. Keep in mind, though, that granite composite only comes in matte finish. And due to its porous material, granite composite may be susceptible to stains from waterborne minerals. If you watch home improvement shows, you may have noticed the growing sensation of concrete countertops in the kitchen. But did you know that you can also get a beautifully made concrete kitchen sink? If you are looking for a sleek and unique material for your kitchen sink, concrete is a great option because no two concrete sinks are alike. Most concrete sinks will have to be measured out and custom made to fit your countertop, which will ensure that you have the right fit and that your sink is one of a kind. This material is incredibly durable and difficult to damage, and should last for years. When choosing a concrete sink, keep in mind that cracks and chips could eventually show up. When this happens, it is important to get those cracks sealed as soon as possible to prevent further damage. Also, you’ll need additional support installed underneath the kitchen sink to hold up the heavy concrete. The style of sink you choose will largely depend on how you will use your sink and what you feel will look best with the rest of your kitchen. 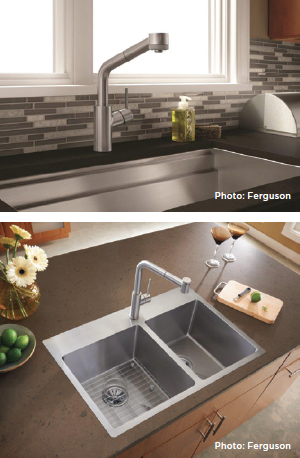 Some popular styles and configurations include single sink, double sink, farmhouse, overmount (also called drop in) and undermount. A traditional single deep basin is great for prepping food and easily soaking pots and pans. 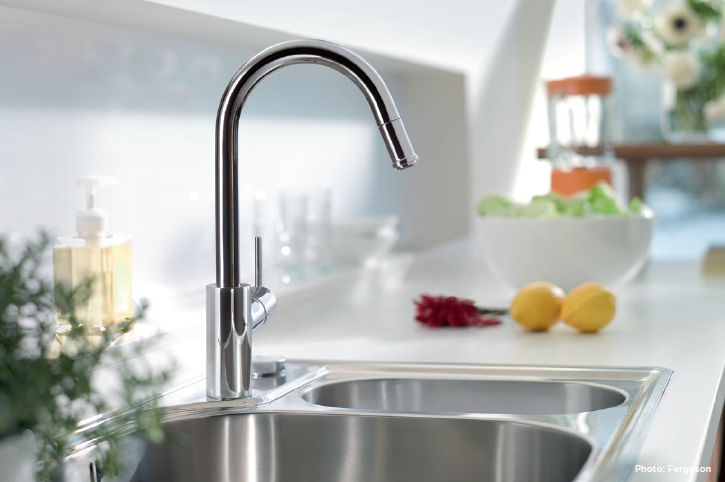 However, trying to prepare food and wash your dishes at the same time can be a hassle with a single basin sink. A two basin sink is wonderful for performing different tasks at the same time, such as meal prep and clean up. You can choose to do a 60/40 offset sink, which means one basin will be larger than the other. Or you can simply go with two basins of equal size. The farmhouse sink has been growing in popularity in recent years. 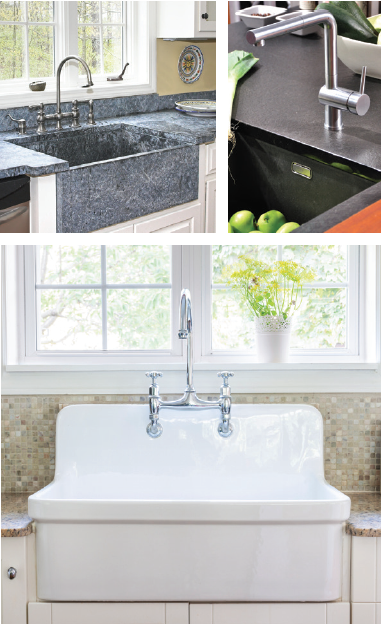 With its clean lines and apron front, these sinks give your kitchen an upscale vintage look. Farmhouse sinks function just like any variation of a traditional sink, so the choice is purely one of aesthetic. A double farmhouse sink is also an option. You will also want to consider whether you want an overmount or an undermount sink. There are some pros and cons to each, but it really comes down to the maintenance of the sink and what look you like best. Overmount sinks are the more traditional style and are easier (and thus less expensive) to install. The outer rim of the sink sits on top of the counter. The only catch here is that this rim can collect food crumbs and dirt, and can become grimy. Undermount sinks are newer to the kitchen scene, and have become more popular with the increase of counters made from natural stone, for homeowners who didn’t want the sink rim on top of the natural stone counter. Undermount sinks are installed underneath the counters instead of being placed on top, and are held in place with adhesive and supports, which gives the counter a smooth, uninterrupted appearance. Keep in mind that condensation can build up on the underside as well and cause mold to form there. You may also want to consider adding extra features to get more practical daily use out of your new sink. Built-in drain boards can be a great addition to your kitchen sink if you know you will be washing a lot of dishes by hand or if you would like to have a place for your freshly washed vegetables to dry. An integrated cutting board is also a feature you may want to consider adding into your sink. A built-in cutting board allows for easy access to chopping your fruits and vegetables when preparing meals. Keep in mind that these features will take up more space, thus taking up precious real estate that is counter space. The kitchen sink may not be the most glamorous appliance in your home, but it is used often and helps keep things operating smoothly in your kitchen. 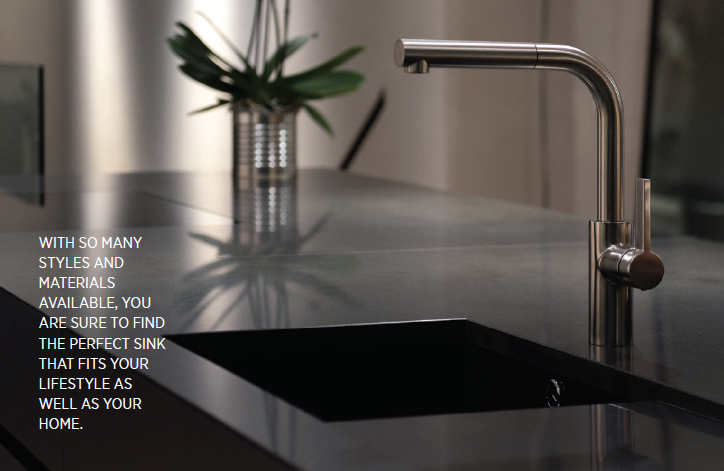 With so many styles and materials available, you are sure to find the perfect sink that fits your lifestyle as well as your home.